Dr Kathryn Orzech is a visiting fellow at DJCAD. Kathryn previously held a post as a postdoctoral research fellow on the Charting the Digital Lifespan project, which investigated parallels between the digital and physical lifespans by combining ethnography, design studies, and social data mining technologies. Her prior research focused on adolescent sleep from a biocultural perspective, exploring how culture affects sleep patterns, perceptions and coping behaviours among 14 and 15 year old students. More recent research focuses on how adolescent sleep relates to physical health and also digital technology use. 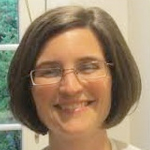 Kathryn holds a PhD in Anthropology from the University of Arizona in Tucson, Arizona, USA. In addition to her participation in several funded research projects, she has also taught a number of courses in biological and cultural anthropology, as well as interdisciplinary courses addressing anthropology, sociology and psychology.